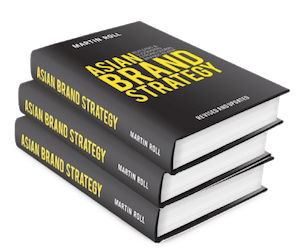 Martin Roll’s opinion piece about the link between customers and company brand strategies in Asia Pacific was featured on CMO.com in January 2018. CMO.com is a content platform which delivers marketing insights for marketing leaders, aimed at helping Chief Marketing Officers (CMOs), senior marketers and their teams become better marketers and deliver standout experiences in a digital world. The platform offers data-driven research, interviews and advice from industry leaders and from around the world. In the article, Martin Roll discusses the changing behavior of consumers in the current digital world, how brands must leverage technology and how business leaders and executives must encourage collaboration within the C-suite to build and sustain brand equity. In today’s digital world, technological disruption can be seen as a double-edge sword. On one hand it creates new opportunities for businesses to anticipate and fulfill customer needs, and on the other hand, could be the cause for a company to focus too much on technology and instead lose sight of the ever-changing customer needs. Martin Roll firmly believes that CMOs and digital leaders need to tenaciously focus on putting their customers first. This means that companies need to ensure that their entire delivery system – from operations, production to internal controls – is centered on the consumer. If a company can successfully build this system and constantly keep in mind customer service, satisfaction and engagement, it will likely result in positive, interactive relationships being built in the long-term. One successful example that Martin Roll described is Singapore Airlines, one of the leading Asian brands. Across all aspects of its operations, it consistently puts the customer first. For instance, in-flight supervisors travel with the crew to ensure high standards of service and teamwork. Singapore Airlines also plans its entire operations on the customer journey and related touch points to ensure a high-quality, end-to-end experience. The modern consumer desires to be heard. With the proliferation of social media, the voice of consumers is louder than ever before. As a result, companies need to pay special attention to their demands and unconscious behavior. To leverage this, brands need to observe consumers and understand what motivates them, rather than relying on the feedback they give through consumer surveys. This is where technological advancements will be very useful in helping companies better understand their consumers. It is hence important for consumer-centricity to be front-of-mind for companies, from decision-making all the way to operations. The first people in an organization who can kickstart the journey towards being a more customer-centric organization are none other than the C-suite leaders. It is important for the CMO and CIO/CTO to be seen as strategic sources of innovation, transformation, revenue generation and customer satisfaction. With access to a wealth of data and transactions, CIOs and CTOs will be in the best position to advise CMOs on how technology can help to reveal specific market insights. Martin Roll raised the successful example of Alibaba, which runs very powerful algorithms, allowing the brand to serve its customers better based on real-time insights about their needs. The brand has access to an enormous pool of data that enables it to constantly evolve and improve its operations and provide better experiences for its customers. Nonetheless, brand strategies need to remain sufficiently agile. A truly customer-centric approach should be able to ride technological changes and still drive results.